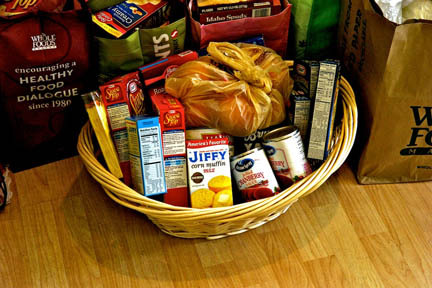 We collect food all month long in the basket located in the Narthex. Once a month we distribute all foods collected to a family in need. If you are aware of a family who would benefit from such a ministry please contact us.